Opis: How do planetary nebulae acquire their exquisite geometrical shapes? To investigate this, astronomers used the Hubble Space Telescope to image several young planetary nebulae. These nebulae are the outer envelopes of stars like our Sun that have recently been cast away to space, leaving behind a core fading to become a white dwarf. 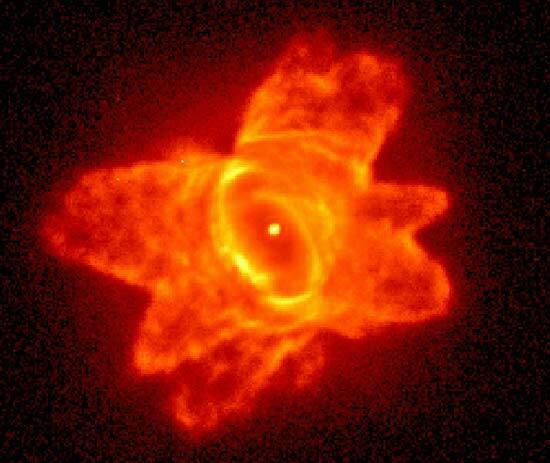 In this photograph in red H-alphacarbon that composes humans is thought to be created by red giant stars and ejected into the cosmos in planetary nebulae like PKS285-02. 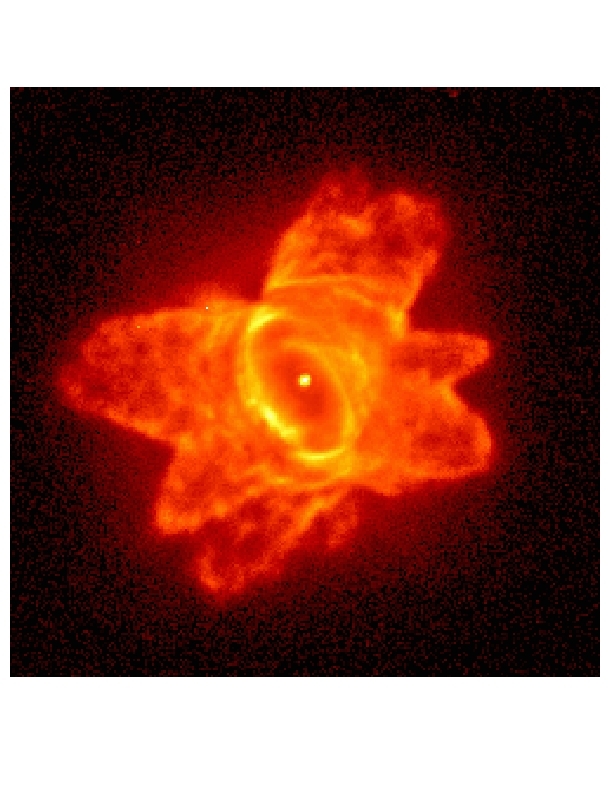 The complexity of this nebula leads some astronomers to hypothesize that these shells were created by high-speed, collimated outflows during a late phase of this star's evolution.